TEHMA PP600 (E) Electric Motor is the perfect choice between reliability and simplicity and is the best tool for industrial applications. 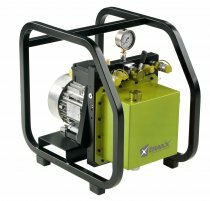 The PP600 High pressure hydraulic power units with cooling system is a portable high-pressure unit designed to operate hydraulic tools. Equipped with high performance two-stage pumps and combined with efficient cooling systems, these sophisticated pumps maximise the performance of every tool connected to them. Equipped with a single-phase electric motor, it can be plugged to a traditional 230V/110V household power, while in the absence of electricity, a 5hp petrol engine is available. 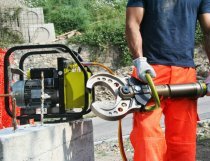 Solid and handy, TEHMA high pressure hydraulic power units can easily stand the heavy duty uses of the demolition and represent a unique compromise for ease of use, reliability and efficiency, features that make them an optimal completion of all TEHMA tools. 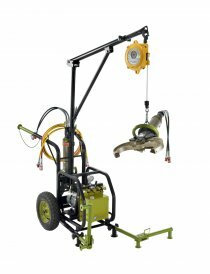 The adjustable pressure further extends the uses range, including applications for industrial, recycling, car demolition and rescue. The unit is available with two different motors, a versatile 3Hp single-phase electric motor, ideal for indoor demolition as it can be plugged to a traditional 230V/110V household power, or a 5Hp gasoline engine for outdoor uses. Allows to speed up to the maximum the tools connected and significantly improve the work rate and consequently the productivity. 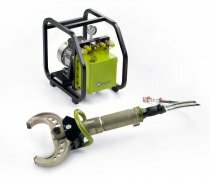 On demand, can be equipped with a cooling system able to contrast the oil overheating and improve the use of the tools connected even with the more demanding and prolonged applications.